Q. How do I search using the Advanced Search option? Select search fields and incorporate Boolean operators (AND, OR and NOT) between search terms in your queries. 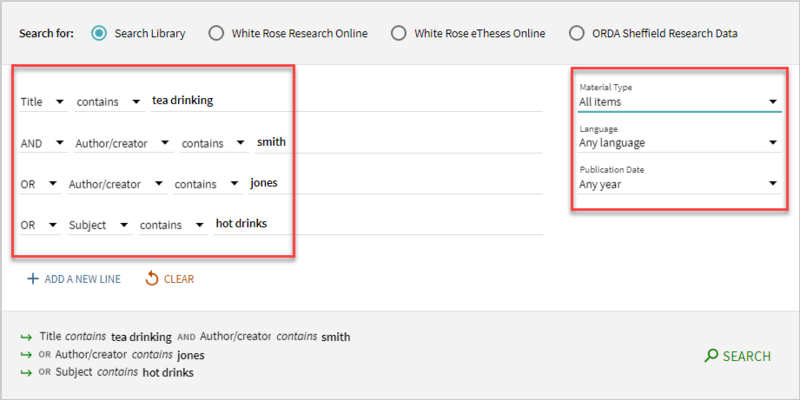 Apply filters before executing a search to further refine your query and limit the search results returned. The Add a new line link supports the addition of up to 16 rows (20 rows total, including the four displayed by default).